A while back I borrowed an album of old postcards from my Uncle He has some postcards of the area where I (and he used to) live, as I wanted to copy them. Amongst these I found a postcard that I’d actually found for him many years ago. It’s a postcard produced by the North Staffordshire Railway to promote the little narrow gauge Leek and Manifold Light Railway which used to run through the Staffordshire Moorlands. 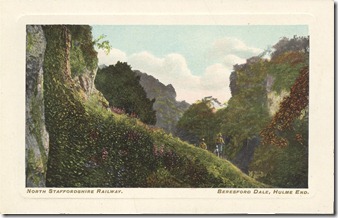 Railways often produced these type of postcards to show the beauty of the areas through which their railways travelled. 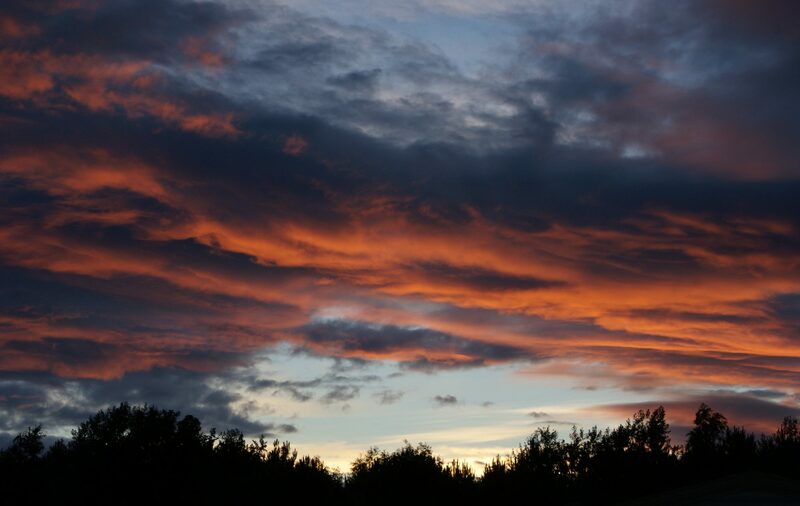 If you click on the image you will get a larger version and you can see the beauty of the landscape. However, notice the two figures. Yes, they’re Scouts, and in the old traditional uniform from when Scouting started. This would be because the postcard was issued before 1923 when the North Staffordshire Railway ceased to exist. Of course it’s interesting to think that Scouts were walking in that area over 90 years ago and still do to this day. If you area ever around North Staffordshire, I would highly recommend a visit. The rail fan in me also loves this film of the Leek and Manifold Railway before it closed! Next PostNext Camping in London!